Are you as exhausted as I am after the first few days of school? There is nothing like "teacher-tired"! So, let's get going and see if these five tips will help you! 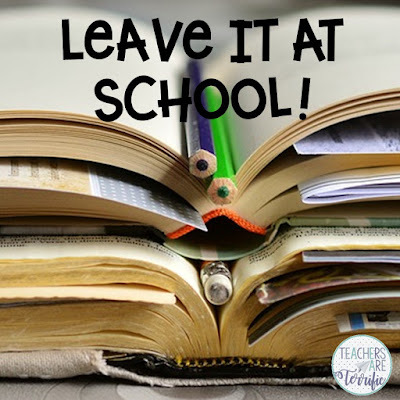 Mind you, these tips are not for your classroom- it's for your sanity. Take care of you. 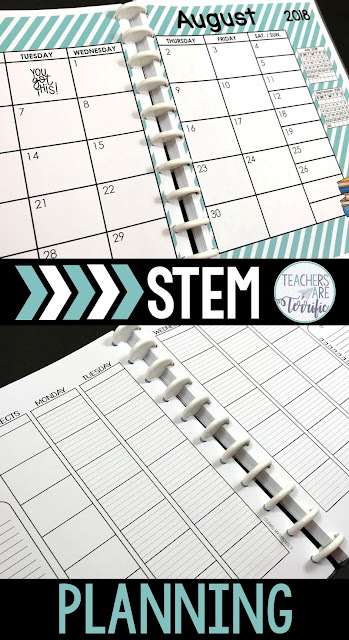 Seriously, by the time you reach the end of those first two weeks your classroom is already decorated, most lesson plan formats are established, you have begun your routines and discipline plan, so what's left? 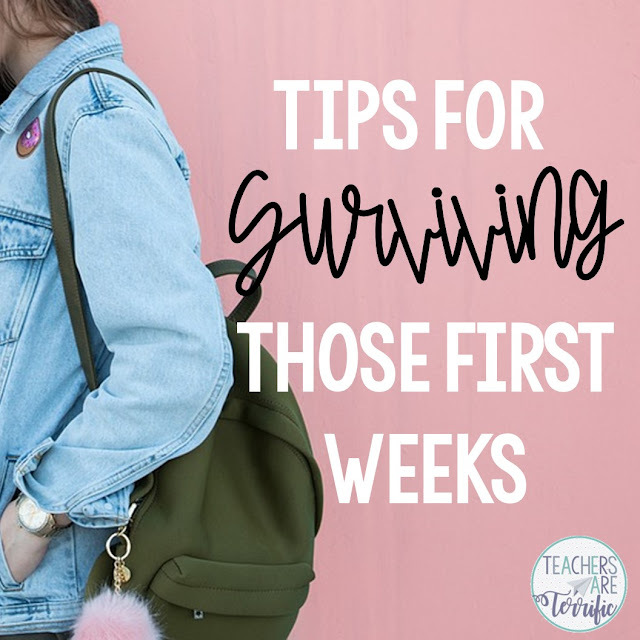 There are so many things going on in the few weeks of school and this goes way beyond just getting your classroom ready and preparing lessons. Teachers are off (for the most part) during the summer and it might be hard to get back into a routine. So, let's take a close look at just a few things that might help! I know you were thinking about lesson plans when you saw that title! I actually mean all the other things. Teachers know how to write lesson plans, but what we need tips for are all the other things that need to be planned. Do you gather all your clothes for the week and have them ready on Sunday afternoon? Press everything and hang it with the jewelry and shoes that match. I promise when you get up and get moving on Monday you will love having five outfits hanging there ready to go. And definitely by Thursday when your brain is fried, it will be so nice to have something you can throw on. If you have kids do the same thing with them. Also, plan your week's meals. Do you do this? Write it on a calendar sticking to the refrigerator. When you get home in the afternoon check the menu and start that food prep! It's so nice not to open the fridge and stand there wondering what on earth we are having for supper! I know, I know. 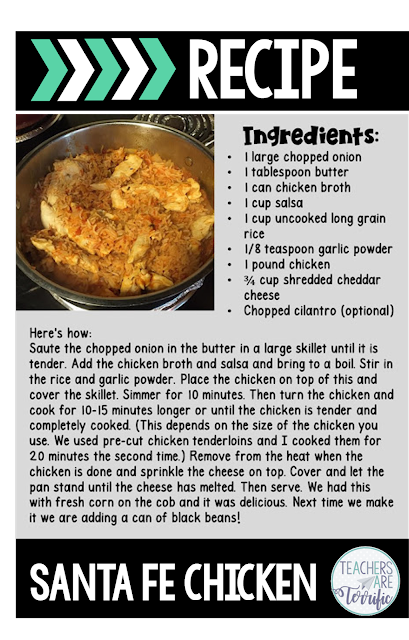 What is a recipe doing on a teaching blog? It's an easy answer. Cooking at home is so much more healthy for you than eating out! But, you need some great and easy go-to recipes that require a minimum of prep. I mean, it is just fantastic to walk in the door on Day 8 of the new school year and have a meal almost ready for you! 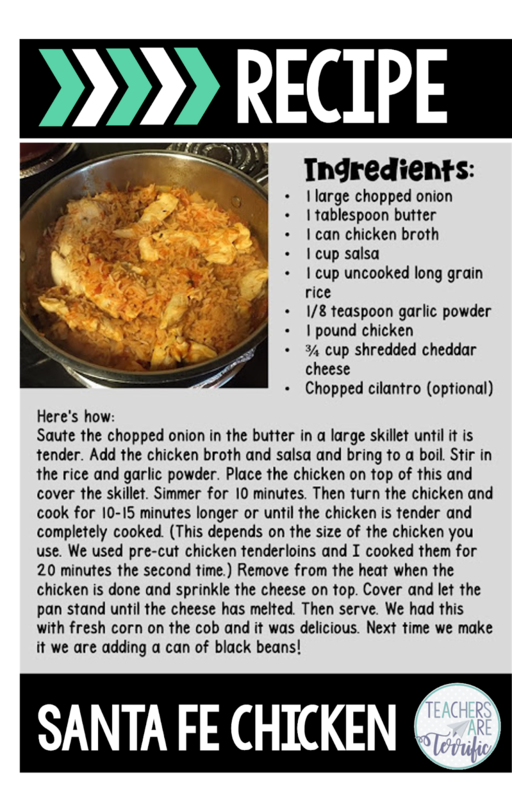 Here's a recipe we love! I promise you will, too! Okay, I am going to tell you a little story. One day I was in my classroom talking to a group and I heard a little tune play. Then it played again. So, I asked if anyone else heard a phone ringing. One student pointed at another and that student started shaking his head. He was obviously uncomfortable, enough so that I knew he had a phone and it was ringing. How would you handle this? Our school has a policy about not having phones turned on and the kids are supposed to leave them in their backpacks. Here's what I said, "Well, check to see if it is an emergency. And then please put it on vibrate." Guys, the relief on his face was so intense. He thought he was in BIG trouble and I just brushed it off. Everybody- EVERYBODY has a phone now- even students. Why make a big deal of it? It just stresses me out and the poor kids. How many other things could we just let go of and be so much calmer? Okay, be honest! Do you drag home a big bag of school work every afternoon? Those papers will get graded eventually. When it is time to go home, make sure all parent emails are caught up, get your board ready for the next day, get your purse and lunch box, and go home. Don't respond to emails. I have a friend that does not check her school email on the weekends. She had a parent a few months back that emailed her 14 times one weekend. The parent was upset and was sending repeat emails and inquiries. When my friend opened some of the emails on Monday she replied with this, "Mrs. XXXX I do not check my email on the weekend. Saturday is my day with my kids and Sunday is for church." Awesome! Focus on Taking Care of Yourself! Focus on you! We don't always do this because we are intent on our mission as teachers. We are dedicated, passionate, and in love with our jobs and kids. But we all need time to just work on our own little selves. I read every.single.day. Everyday. All the time. When I walk in the evenings for exercise I am listening to an audiobook. I listen to a book in my car while driving to and from school. So there is it folks, ways to save your sanity and adjust to your back to school time of year! In the meantime here's my Back to School board on Pinterest. Take a look for even more tips and tricks and resources! Hi Carol. I'm so impressed that you pick out all your outfits and plan all your meals for the whole week. Now that's efficiency! I am thinking of trying out your recipe - it sounds delicious - plus I always make the same meals - it will be fun to have something different for a change. Happy weekend! Love it-- I'm trying to be more organized and plan ahead. I sometimes do it and love how easy it makes the week. It's just hard to find that time though! I pinned your chicken recipe. Yummy!